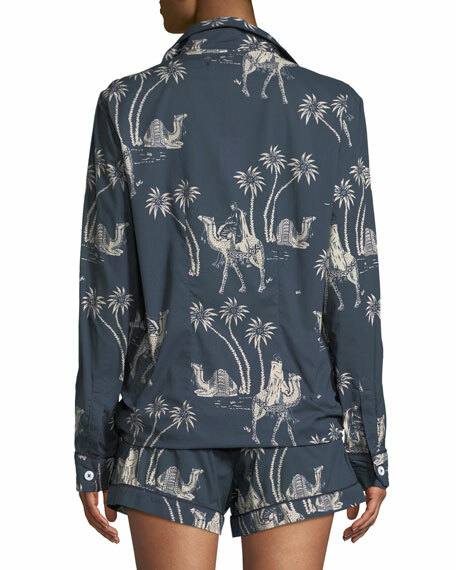 Desmond & Dempsey pajama set in desert print with palm trees and camels. 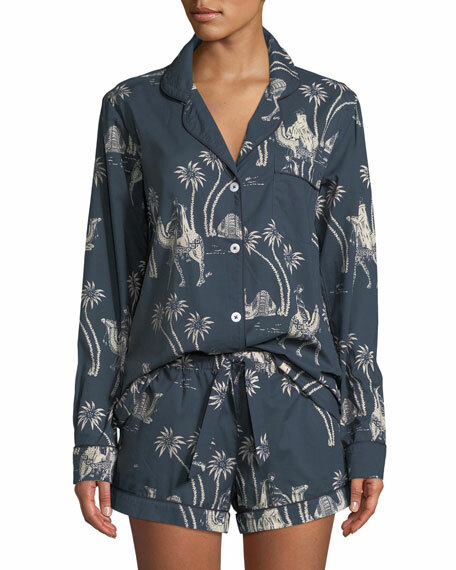 For in-store inquiries, use sku #2553234. Exclusively ours. 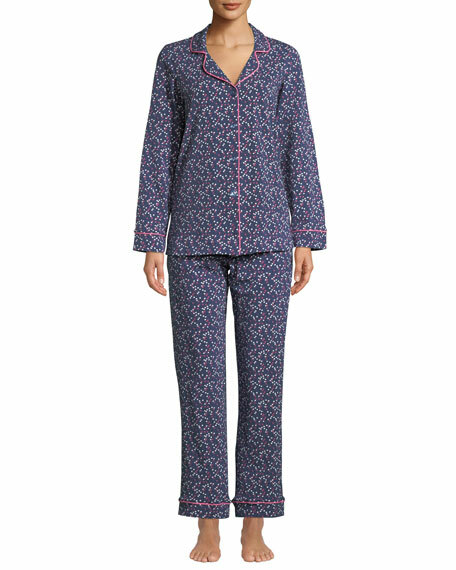 Bedhead classic two-piece pajama set in floral jewels print. Approx. 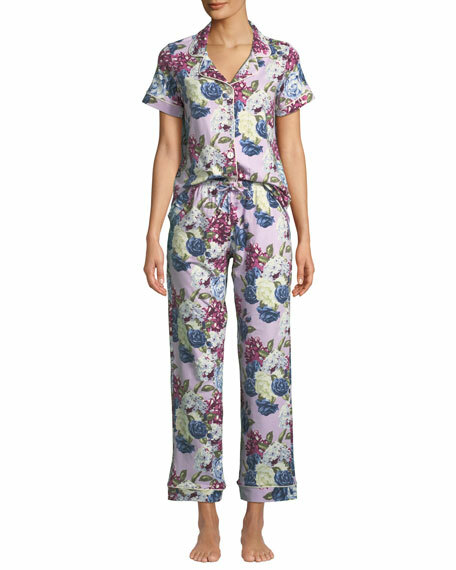 measurements: Top, 27"L; pants, 29" inseam. Notched collar; button front. Long sleeves. Relaxed silhouette. 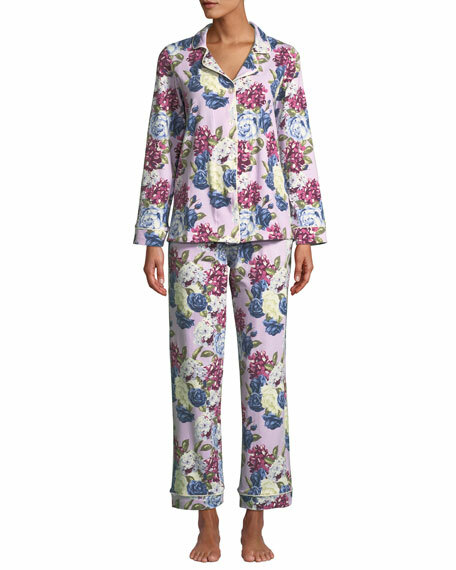 Includes matching lounge pants. Cotton/spandex. Made in USA of imported material.